It’s Allan’s birthday. We have a long succession of November birthday parties together. It turns out to be a nice time for a party. The weather is cool, but not yet frigid and some warm and filling foods taste very good. We had 12 great friends over and lucked out with a warmer than recent evening, a lovely night sky, and no wind. 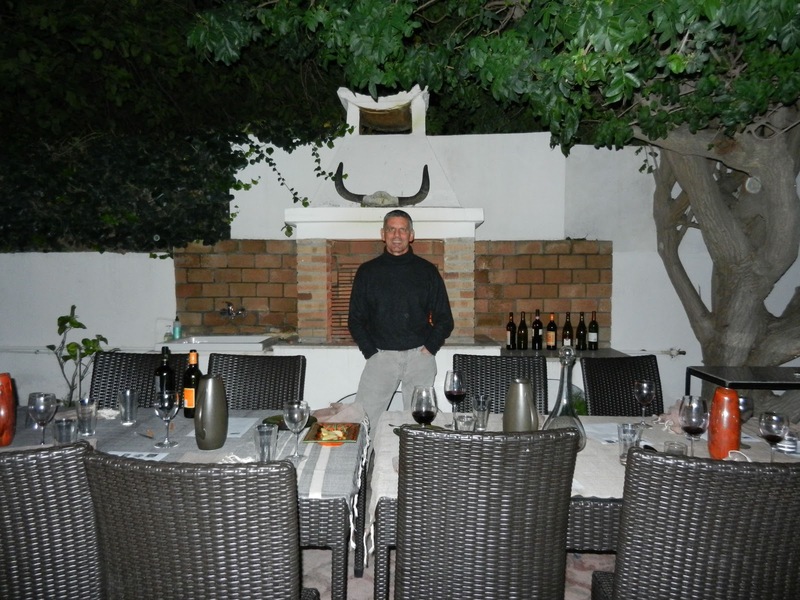 We pulled the garden tables close to the barbecue and kept a fire going all evening. 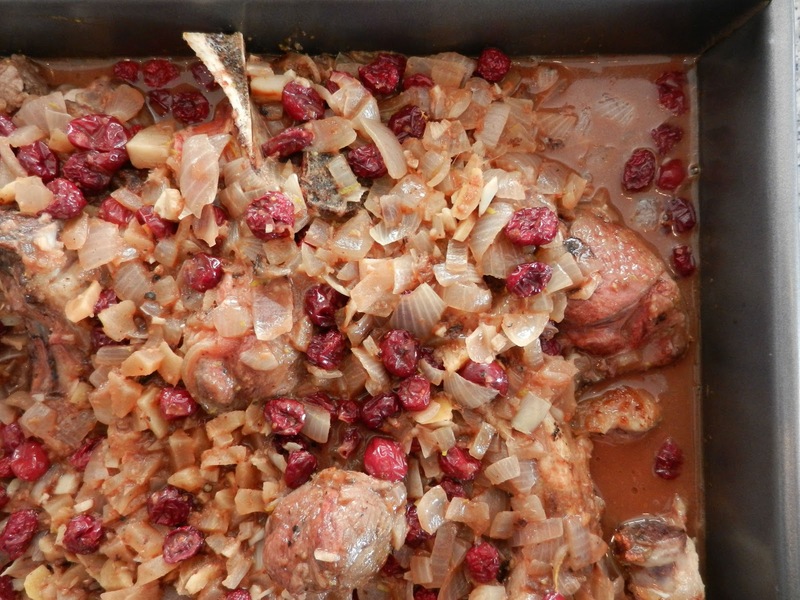 The main dish was Cranberry Short-Rib Stew. This was, again, from the stew/beer pairings section of the October 2011 edition of Sunset Magazine. The recommended beer was Deschutes Brewery Black Butte Porter. There were a lot of smokey and bright flavors in this stew that might not have been immediately recognizable, like chocolate, cranberries. ginger, and orange zest. After cooking a couple of hours, the meat was tender enough, but the stock was still a little watery. I uncovered the dish and continued to bake it for about 2 more hours which served to caramelize all of the complexities. 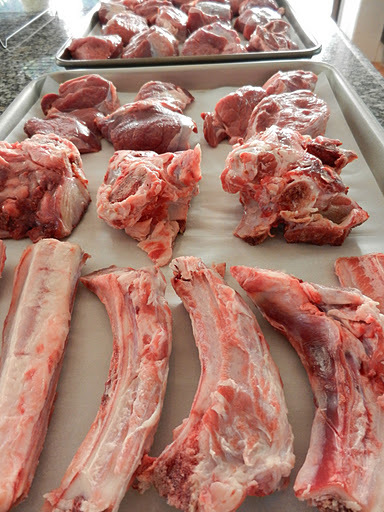 I couldn’t buy meat on bones at our butcher so I bought meat and bones. After browning, but before braising. 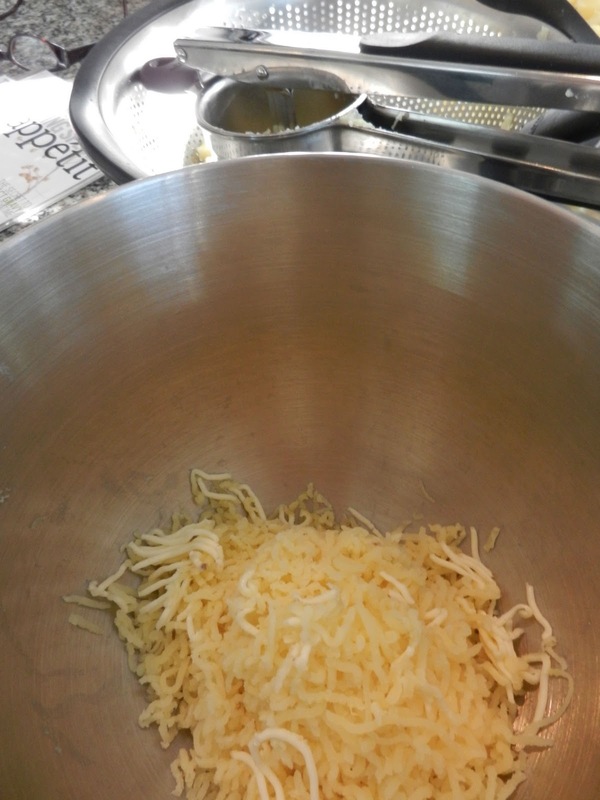 See recipe for finished dish photo. Since we are officially off pumpkin. I omitted the addition of pumpkin in the stew, but it still needed some color. 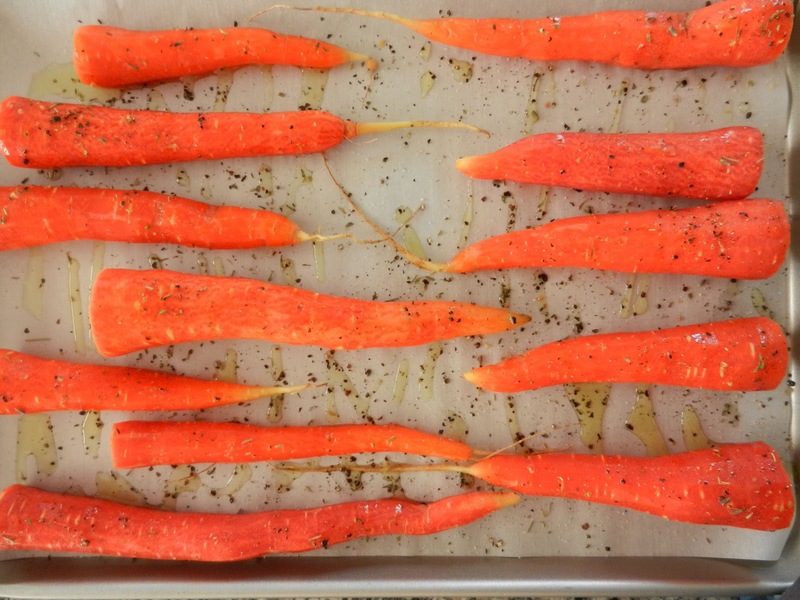 Instead, I roasted some of our vibrant, almost red carrots. I drizzled them with olive oil and seasoned them with herbes de provence, Himalayan pink salt, and pepper. They needed to roast for at least 2 hours to get completely tender and a little caramelized. As a finishing touch, I drizzled them with some passion fruit vinegar, which set them off nicely. 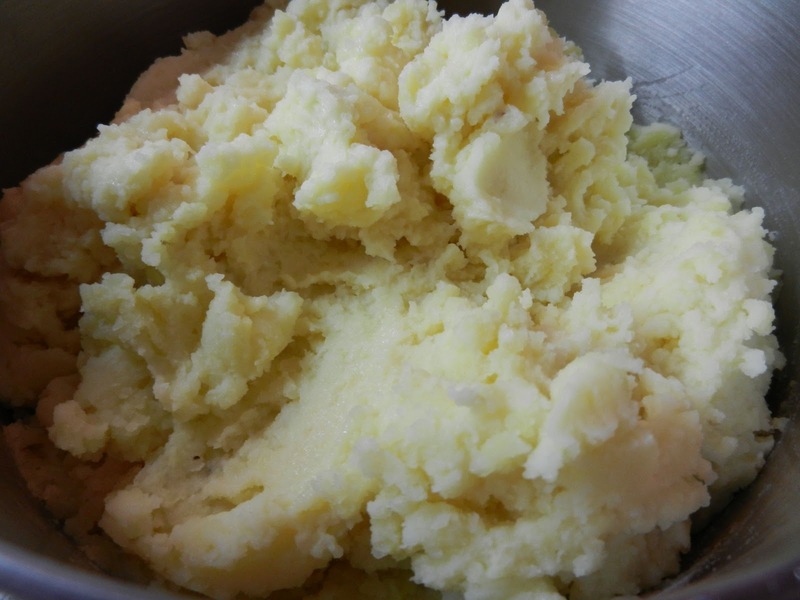 Think you already have the perfect mashed potato sequence? Bon Appetit has a process that might give you some new thoughts about it. 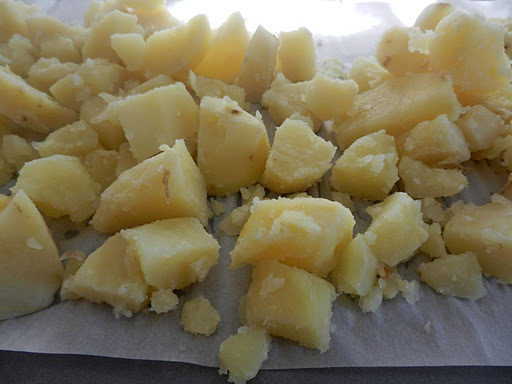 You start with large cubed potatoes that you cook in salted water. When they are fork tender, you drain them and turn them out onto a baking sheet to cool and dry for about 15 minutes. 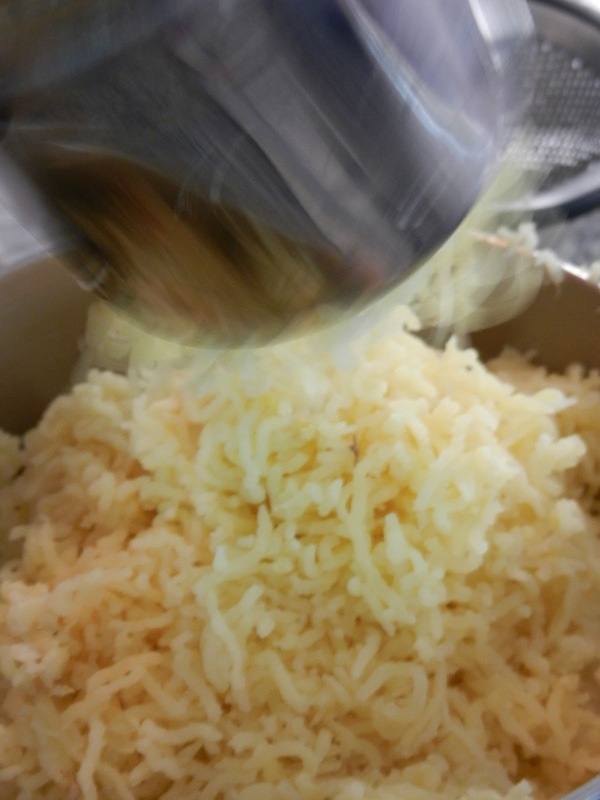 Then, you force the potatoes through a ricer or food mill, along with 1/2 cup of chilled butter. 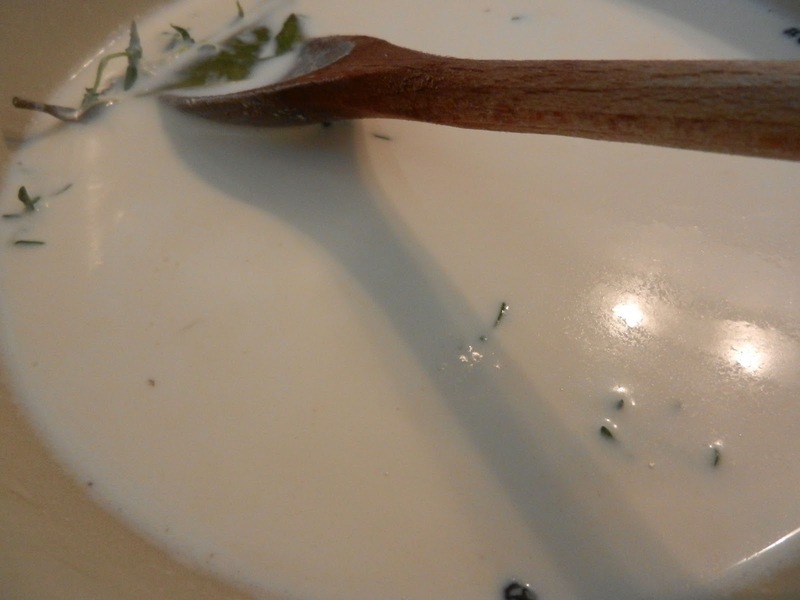 Heat milk, cream, bay leaves, fresh thyme or rosemary, and pepper corns on the stove. Allow to steep about 20 minutes and then strain. Reheat milk mixture. Pour over potatoes as you stir. 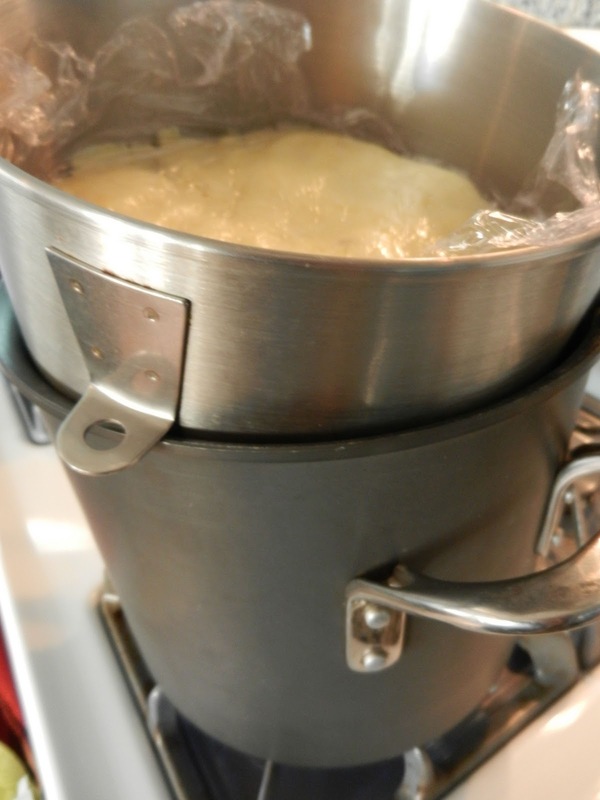 I used the dough hook on my Kitchen Aid mixer. This may be the biggest tip of the recipe: at this point you can hold the potatoes in fluffy condition if you do the following. Number one, cover the potatoes with plastic wrap directly touching them. Number two, keep them in a bowl over, but not touching, simmering water. I kept them for over an hour and they turned out great. And because I said I would, here is the link to the chocolate peanut butter cake at Smitten Kitchen. Yes, it is a great recipe. < Previous Eight Cups of Pumpkin- Do It! It was a beautiful evening to celebrate a great guy! What fun, what great food, what great friends! Can't wait for another birthday party Chez Julie! It was completely dark at the table. Good thing my guests had a brief peek at the food as they came through the kitchen because they had to eat it in total trust.